Great achievements of Polish representatives! The representatives of the OYAMA Polish Karate Federation triumphed in all categories in the Full Contact Karate World Cup "Kanreikai Open" which took place in Danbury, CT, USA. 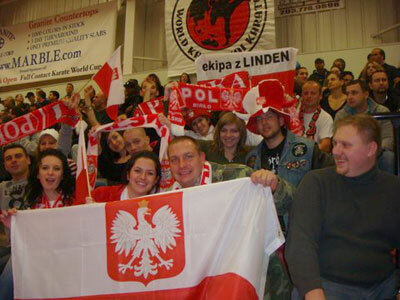 The competitors of different styles and countries such as the USA, Canada and Poland took part in the tournament. Fights were stiff and tough. There was a great atmosphere guaranteed by the numerous group of Polish fans who kept cheering on Polish representatives. 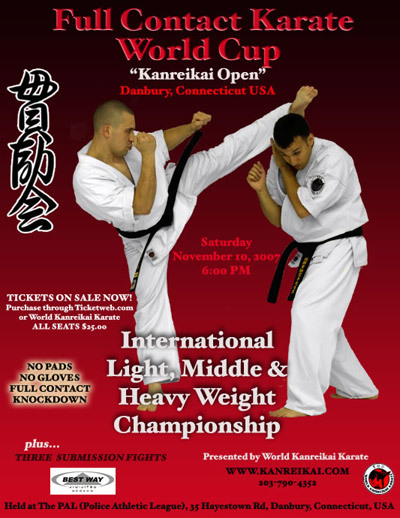 Shihan Manny MATIAS (the founder of the World Kanreikai Karate) was the head referee. The field referees were: Shihan Kenji FUJIWARA (the chairman of Kyoukushin-kan Karate in the USA) and Shihan Jose COTTON (the leader of Kanreikai Karate in New York). Sensei Rafał MAJDA 3rd dan was the main coach of the Polish team. Sensei Waldemar Leończyk was the manager of the Polish fighters and also the side referee, at the invitation of Sensei Bob UNDERHILL (the chairman of the World Kanreikai Karate). Shihan Jan DYDUCH 7th dan was the chairman of the Polish represantion. He didn't hide his happiness after the great performance of the Polish fighters. During the time spent in the USA, Polish team visited New York with its far-famed Madison Square Garden, the sports and show hall, Empire State Building, the highest skyscraper in Manhattan. Polish representatives paid a visit to Washington and they had a chance to see the Trump Taj Mahal Casino in Atlantic City. 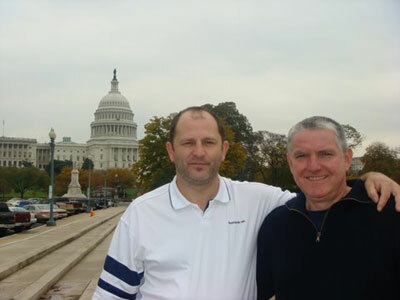 Such a succesful travel to the USA was possible due to the great, disinterested help of sensei Robert MAŁOCHA, USA, who has been supporting Polish Oyama Karate Organization for years. Our team met with a great cordiality from Mr Richie WOJTACH (USA), an enthusiast of sport and one of the sponsors of the World Cup. Polish representatives were also welcomed with great hospitality by compatriots: Zdzisław ZYSKOWSKI 2nd dan, Mariusz JANICKI 2nd dan, both practise karate in the Central Dojo World Kanreikai Karate in Danbury. Thank you sincerely, OSU! Congratulations and thank you for the great performance in the USA, OSU! The results, photos and videos are available at the official website of the World Cup host: www.kanreikai.com.